Just as an update... Toriano will be testing at the Laguna Seca circuit in California on February 26, 2008. This will be his first time visiting the track as well as riding the KTM GP125... I have asked Tori to update me with his progress while he is taking part in this testing event in preparation for his upcoming 2008 season in the US Red Bull Rookies Cup Series. 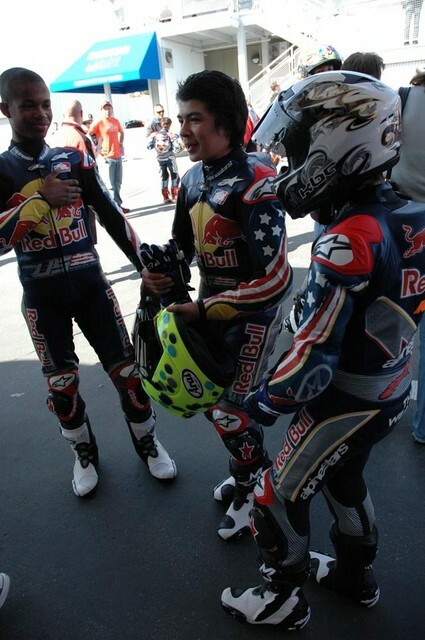 Was browsing through a thread on the USGPRU Forum and found some pictures of Toriano out in Laguna Seca at the Red Bull Rookies first test day. Here they are. 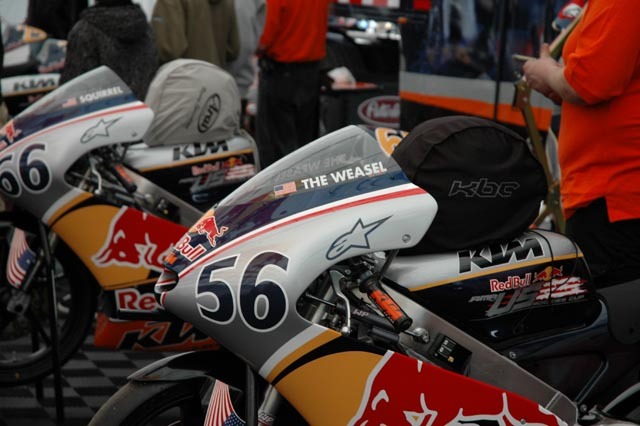 -cy- wrote: Just as an update... Toriano will be testing at the Laguna Seca circuit in California on February 26, 2008. This will be his first time visiting the track as well as riding the KTM GP125... I have asked Tori to update me with his progress while he is taking part in this testing event in preparation for his upcoming 2008 season in the US Red Bull Rookies Cup Series. Official Times Released for Testing at the Laguna Seca Circuit for the Red Bull Rookies Cup. Go TORI!!!! Congrats lil couz!! Toriano Fastest Red Bull Cup Rookie! Should make sure Toriano knows about this forum so he can update us with some first hand knowledge. Well done Tori!!! Don't know y he wasn't interviewed after coming out on top on the 2nd day but whatever they won't be able to ignore him for long! Bermy all day!! !